April 30, 2010  Melissa Block speaks with E.J. Dionne of The Washington Post and Brookings Institution and Amy Holmes, guest co-host of America's Morning News and former speechwriter for Senate Majority Leader Bill Frist, about the week in politics. April 29, 2010  Once the favorite for the open Senate seat, Gov. Charlie Crist became an underdog after a series of misjudgments and factors out of his hands — including an increasingly assertive, anti-Washington conservative mood within the GOP. April 24, 2010  James Fallows, national correspondent for The Atlantic, offers his perspective on the president's push to overhaul the nation's financial regulation system. April 23, 2010  Melissa Block reviews the week's biggest political stories with columnists E.J. Dionne of The Washington Post and David Brooks of The New York Times. Is NFL Star Ben Roethlisberger's Suspension Too Harsh? April 23, 2010  In this week's installment of the Barbershop, host Michel Martin, freelance writer Jimi Izrael, syndicated columnist Ruben Navarrette, Sports Illustrated Reporter Pablo Torre, and Political Science professor and blogger Lester Spence talk about Arizona's controversial immigration bill, the suspension of NFL star Ben Roethlisberger and Vice President Joe Biden's chat fest on the View. April 23, 2010  Nowhere in the country is the immigration debate more heated than in Arizona where a controversial new bill has been making headlines. Latinos comprise 30 percent of the state's population, yet they are not a powerful local constituency, relative to other states like New Mexico or Florida. Tuscon, Arizona-based NPR correspondent Ted Robbins explains why the demographic has been marginalized politically. 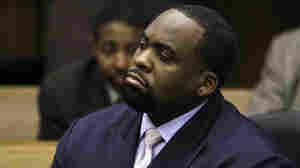 April 21, 2010  Detroit Ex-Mayor Kwame Kilpatrick could be headed to jail — again. 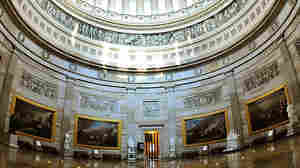 April 20, 2010  The Pew Research Center's recent survey shows that 25 percent of Americans have a favorable view of Congress — the lowest rating the legislative branch has received. American Enterprise Institute's Norm Ornstein blames what he calls "the permanent campaign." April 17, 2010  Host Scott Simon speaks with NPR News Analyst Juan Williams about the politics surrounding the overhaul of financial regulation and the prospects for a financial reform bill. April 17, 2010  Host Scott Simon reviews the week's news with NPR Senior News Analyst Dan Schorr. They discuss the economy, the president's new mandate about the rights of gay couples in hospitals that receive federal funds, and the Wisconsin court ruling regarding the National Day of Prayer.